Collection of Creative and Cool Pizza Advertisements from all over the world. 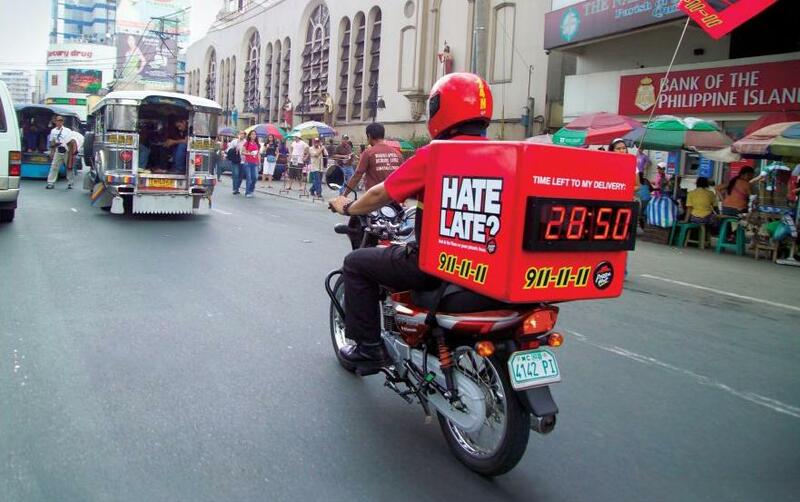 Indoor Advertisement for Pizza Hut Tabasco Pizza: Suggestion boxes were placed in Pizza Hut restaurants asking people who found the Tabasco Pizza too hot, to express their opinion about it. 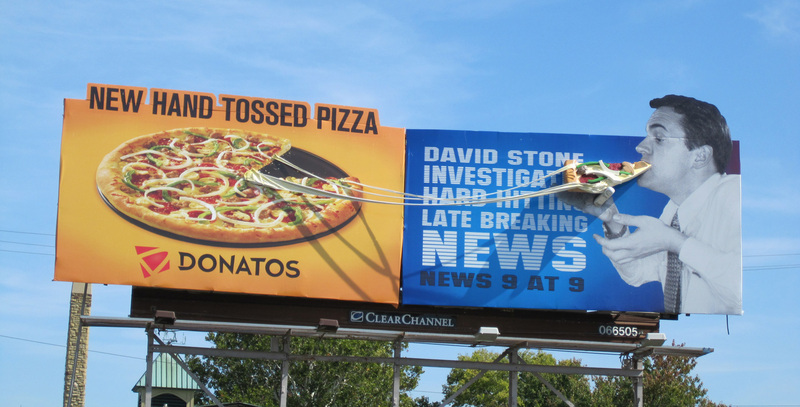 As the opinion was inserted into the box it gets chopped. The title says "Supreme Pepper Tabasco Pizza. 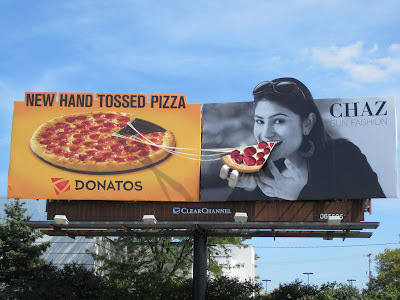 Yeah, it's hot. 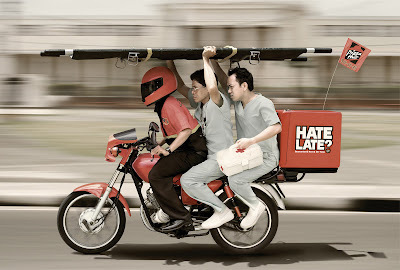 No point complaining." 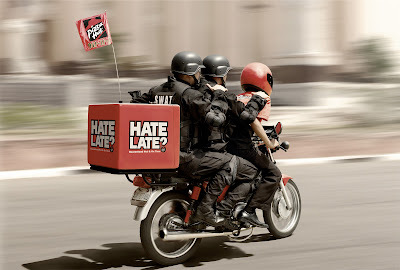 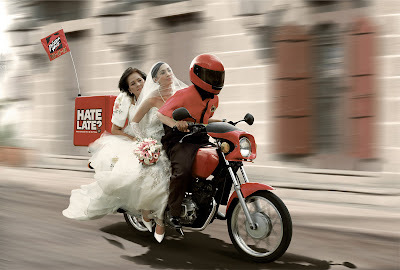 Pizza Hut Bike Clock Ad: "A large digital countdown clock was installed on the back of Pizza Hut bikes to dramatize their on-time delivery promise". 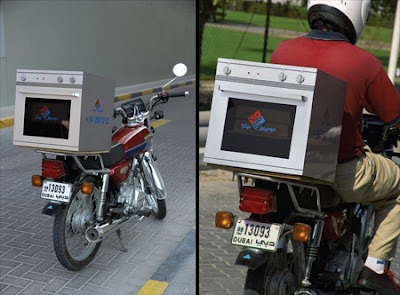 Domino's Bike Oven Ad: Ordinary white boxes on the back of pizza motorbikes were cleverly redesigned to make them look like ovens. 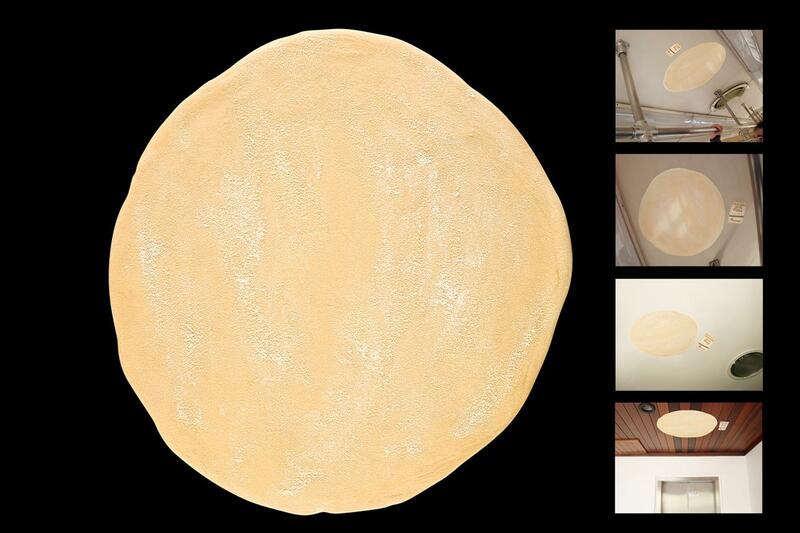 Creating an effect as if the pizzas have just come out of oven hot and fresh. Steaming Pizza Billboard: This cool billboard promotes Donatos pizza in Columbus, USA. 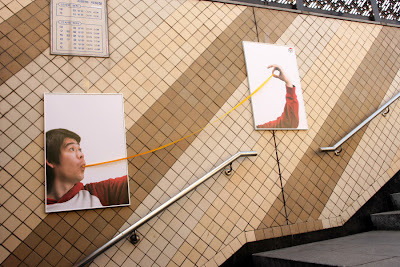 Cheesy Pizza Posters: These creative "cheesy" posters promote Pizza Hut pizza in Seoul, Korea. Newscaster Pizza Billboard: This creative billboard displays the cheesy Donatos pizza in Columbus, USA. 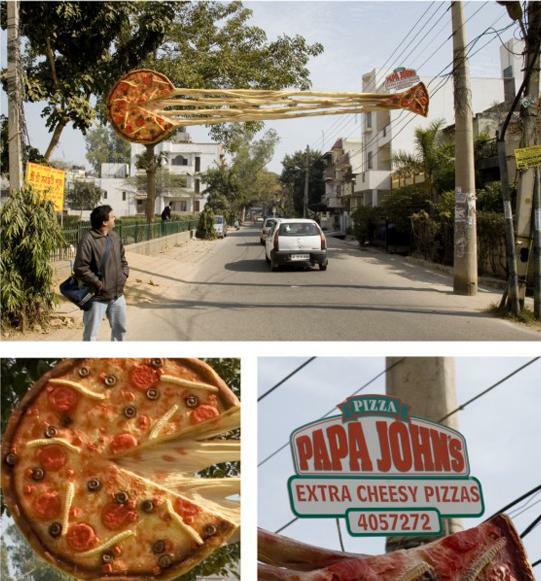 Cheesy Pizza Outdoor Ad: Creative and smart pizza ad demonstrates the cheesiness of Papajohn's pizza. 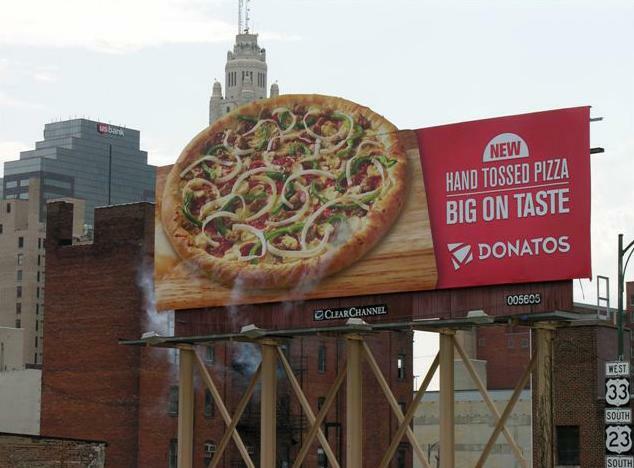 Model Pizza Billboard: Another creative billboard promotes Donatos pizza in Columbus, USA. 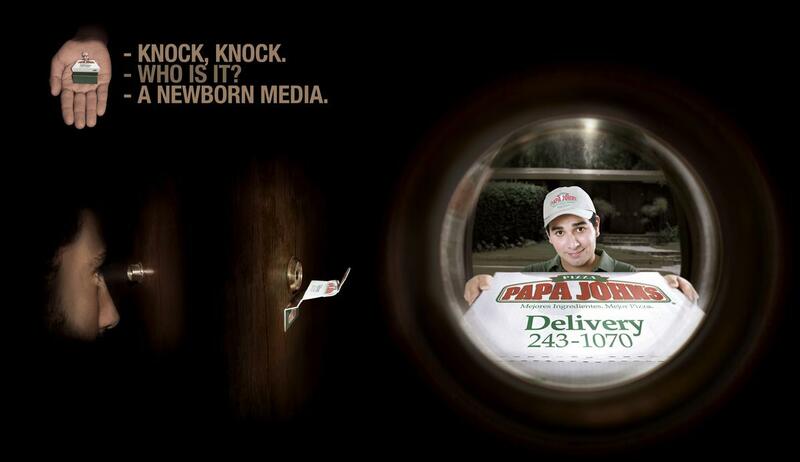 Doorviewer Pizza Ad: Cool eyehole stickers used to advertise Papajohn's pizza. 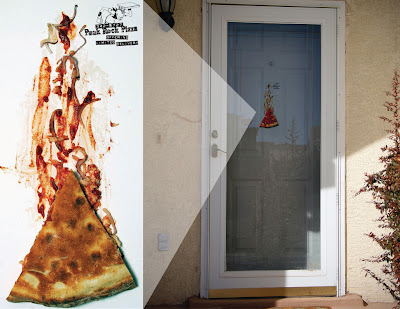 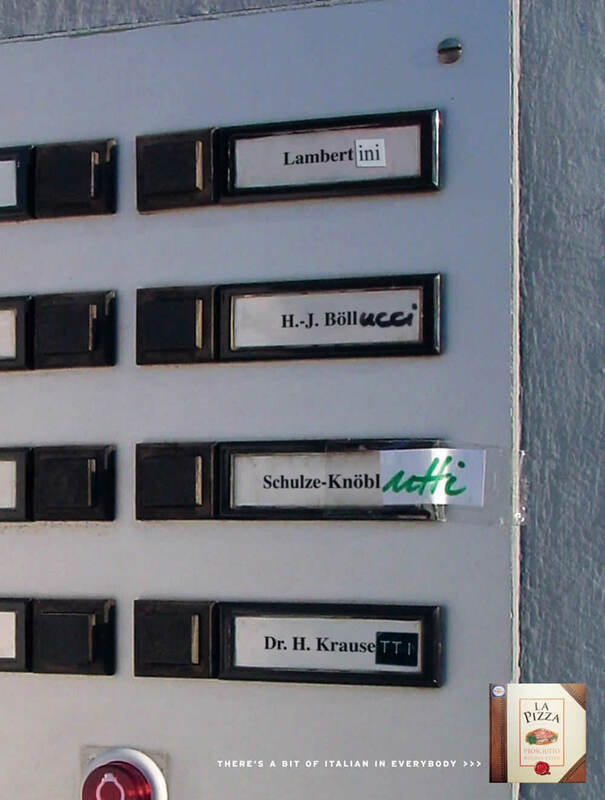 Doorbell Pizza Ad: This creative ad of La Pizza ad comes from Frankfort; "there is a bit of Italian in everybody". 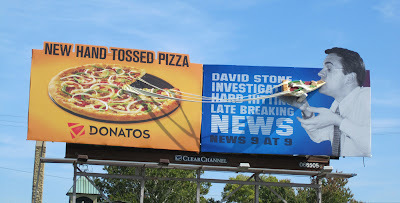 Pizza Crop Circle: Huge Papajohn's six-acre crop circle advertisement in Colorado. 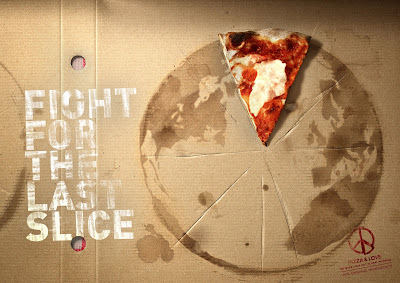 Indoor Nacional Supermarket Pizza Ad: This clever ad promotes 'International Pizza Day'. Carlsberg Pizza Box: In Switzerland, these boxes were distributed by Carlsberg (the official sponsor of the Swiss soccer team) at relevant places during the world cup. 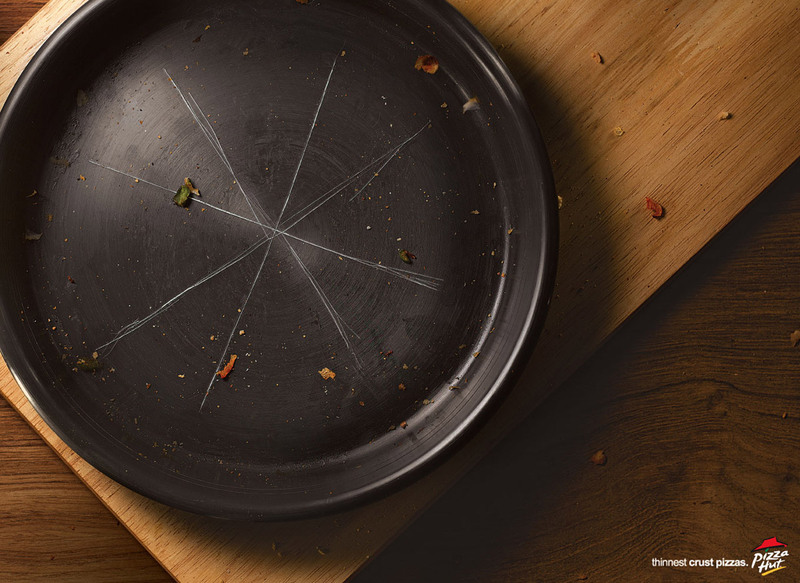 Pizza Hut Thin Crust Ad: This advertisement comes from Delhi, India, promotes Pizza Hut's thinnest crust pizzas. Pizzaandlove - Fight for the Arctic: This cool ad using the concept of right over 'Arctic' to promote pizza comes from Contrapunto, Barcelona, Spain. Pizza Hut Print Ads: These ads creatively demonstrate the express service of Pizza Hut pizza. 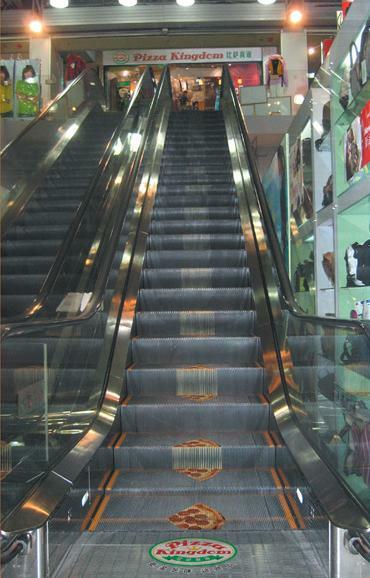 Pizza Escalator Advertisement: Pizza Kingdom used the escalator in front of their restaurant to creatively advertise their new pizza with more cheese.